Samaruc is at the foot of the Montgó. 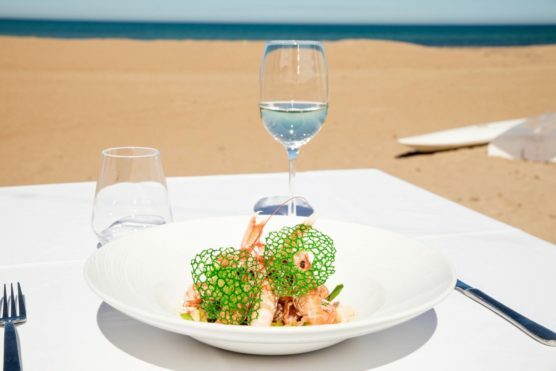 In this restaurant, in Denia, you can taste the best dishes from chef Ismael Bilbao. Creative cuisine, Mediterranean recipes with local products, presented in the most original way…what more can we ask for? In addition, They have a seasonal tasting menu that changes every month. Is your mouth watering? Let’s list some of his last dishes: sobrasada fritters and rosemary honey, white prawn with partridge escabeche and creamy fresh cheese and braised red mullet, seasoned pickles and fresh spinach, among many others! Enter his website and discover the dishes for this month. By the way, they make some cocktails that are a must try! Don’t hesitate to ask for one after dinner. 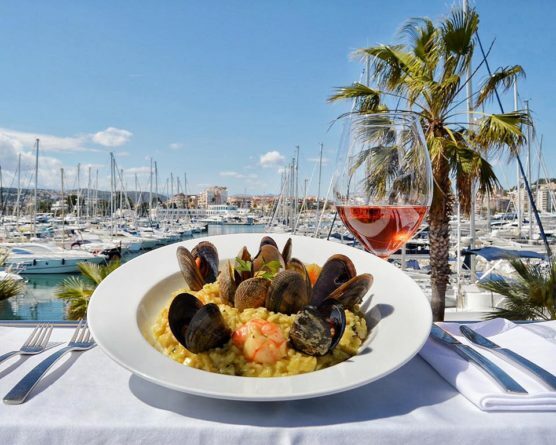 This elegant restaurant in Denia serves exquisite kinds of rice and it’s located on the seafront. Generous portions and stews of sweet rice with scallops, clams, algae and plankton; paella of monkfish, scampi and clams; black rice with squid, beans and artichokes among many others. There are also meat, fish and seafood dishes, the menu is very extensive. Don’t forget to try their homemade desserts such as mango ingot, pumpkin toast or Louis XVI, a milk chocolate mousse. 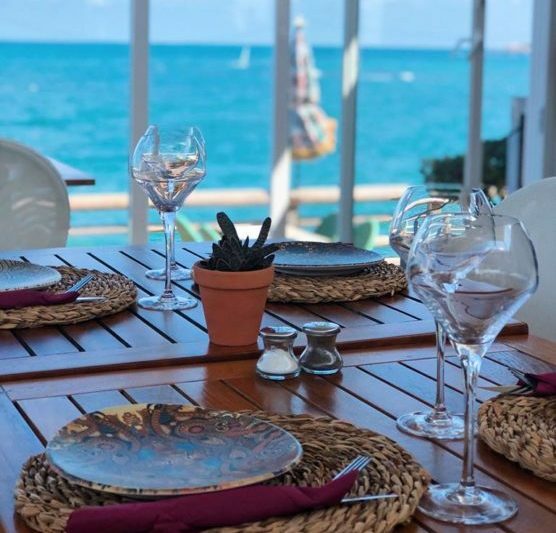 The perfect place for lunch, dinner, breakfast or drinks while delighting with the sea views. The recommended dishes are tapas, sandwiches, pasta dishes, grills, hamburgers, fish, etc. The menu is very varied and our favorite time to go to one of the best restaurants in Denia – Mala Vita is at sunset. 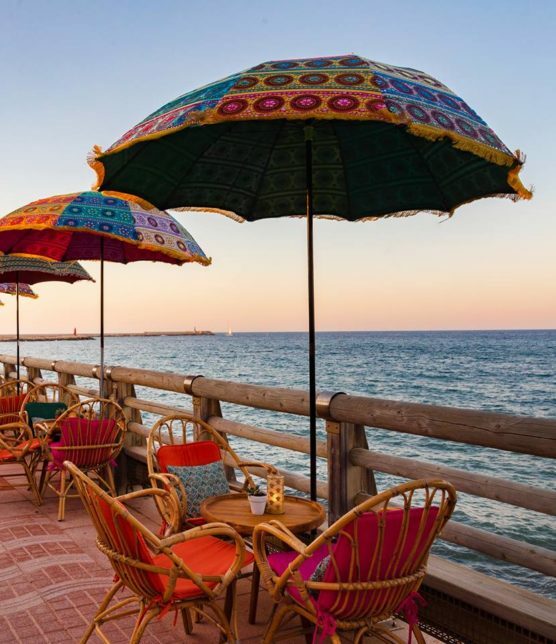 It’s right next to the sea, so enjoying the sunset with a smoothie or a cocktail in your hand, is one of the best things to experience in Denia. If you feel like it, you can extend the afternoon and order some nachos or snacks. By the way, the decoration is very chic and modern! Republic is an international restaurant that is open every day of the year. It’s in the Marina of Denia and the kitchen doesn’t close at all, so you can go to eat, have a drink or why not even dinner. What do you think of an afternoon with views of the Montgó? If you go in winter, you will see how they light the fireplace to make the interior more cozy and warm. For special dates (Christmas, New Year’s Eve, Valentine’s Day, Mother’s Day, Father’s Day, etc.) special menus are created. Moreover, they organize birthdays, company dinners, and more events. 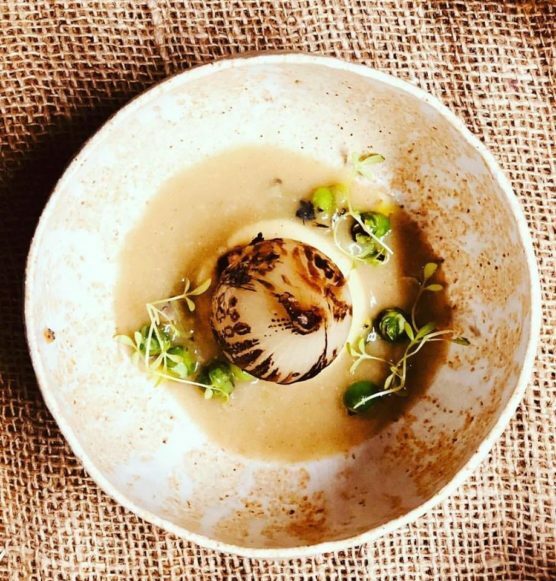 The most requested dishes are the Mari Monte risotto, the risotto with the Funghi Porcini, the sea bass with vegetables, the burrata salad with ham, the grilled octopus, mmm yummy! Aticcook is defined as a gastronomic experience. The tables and the kitchen are in the same room to establish an authentic connection between the cook and the diners. The chef, Bruno Ruiz, cooks the recipes in front of the customers and explains how they are prepared. A single daily menu consists of 10 dishes and it’s served at tables of a maximum of 6 people.In case, there are more guests, a table can be arranged in another room. The menu costs € 50, and the drinks aren’t included. 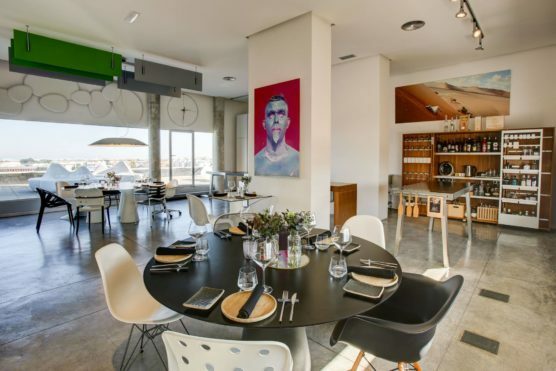 The restaurant is located on the fourth floor of a building that serves as a designer furniture store, Pepe Cabrera. This is one of the best-rated restaurants in Denia according to TripAdvisor. It’s close to the center and it’s pet-friendly. La Vecchia Roma is a pizzeria that also serves other Italian dishes such as pasta or carpaccios. 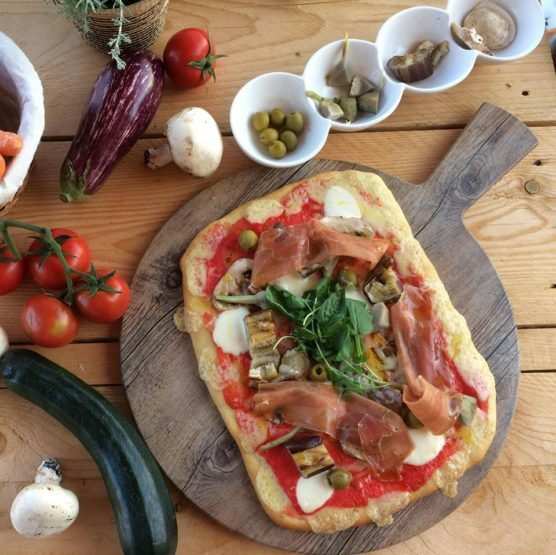 In addition, the cook can prepare some gluten-free pizzas and kinds of pasta that are a delight to the guests. Home-style meals spiced with the sympathy of the owner, Fabio. You can order wine and Italian beers to accompany your noodles with truffle and parmesan, your lasagna of gluten-free meat or any of the pizzas which are the local star dishes. It can be ordered as a takeaway but if you want to eat at the place, it’s better to book it in advance. It’s a vegan and ecological restaurant. 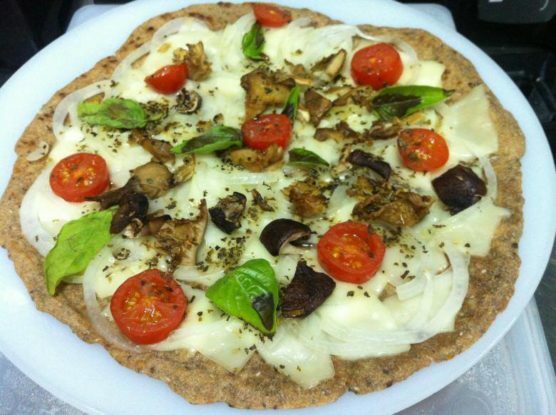 They prepare vegan and homemade raw vegan recipes, both to take away or to eat at the place. The quality-quantity-price ratio is very good and highlights some dishes such as sautéed mushrooms, vegan cheese board, hummus with spelled bread, or avocado dessert with blue spirulina. Furthermore, they also offer craft beer. It should be noted that Verdeando takes care of every detail: the packaging to take away is biodegradable, the straws are made of recycled cardboard, the pots are made of titanium, the oven is 50% steamed, the flours are brown and they don’t use sugar or refined salt, as they usually cook with seawater. This is our selection of good-rated restaurants in Denia according to TripAdvisor. You saw that there is something for everyone, have you already chosen your favorite? If you need more information about the city and its surroundings, don’t miss our list of the most beautiful villages of the Costa Blanca. Did you also know that Costa Blanca is perfect for families!